To qualify for FMLA leave, federal employees must have worked for a federal agency for at least 12 months, and at least 1250 hours over the past 12 months. Under some circumstances, employees can use FMLA leave on an intermittent or reduced schedule basis. Additionally, employees may choose to use accrued paid leave concurrently with FMLA leave so that they are in a paid status. A federal agency cannot seek to take any form of personnel action against an employee when they are in an approved FMLA leave status for that employee’s use of leave. When a federal employee seeks to use FMLA leave for the first time, the employee need not expressly assert their FMLA rights. Rather, it is the agency’s duty to notify the employee of their rights to apply for FMLA leave.Upon return from FMLA leave, an employee must be restored to his or her original job or to an equivalent job with equivalent pay, benefits, and other terms and conditions of employment. Employers are also required to continue group health insurance coverage for an employee on FMLA leave under the same terms and conditions as if the employee had not taken leave. Agency Employee/Human Relation Specialists should be able to provide federal employees with the necessary paperwork and instructions on how to submit an application; however, the forms can also be located on the Department of Labor website. Eligible employees are required to complete a WH-380-E or F, Certification of Health Care Provider for Employee’s/Family Members Serious Health Condition form. Employees must have a medical care provider certify their answers to questions about the medical condition, to include the duration of the condition, necessary treatment for the condition, the impact on the employee’s ability to perform essential functions of their position, and the amount of leave necessary. 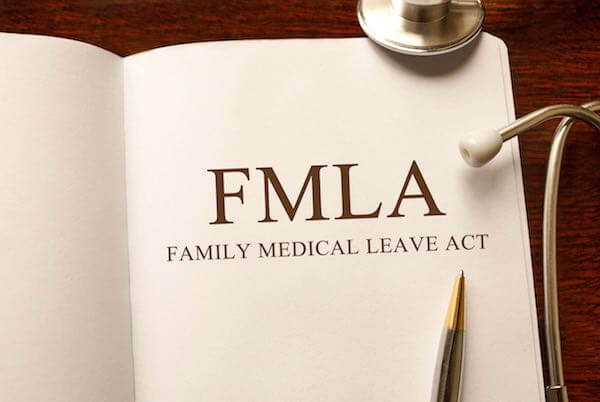 The manner in which the medical provider responds to these questions may impact an agency’s decision to approve the FMLA leave request, so an employee may want to seek legal consultation before submitting an application. Federal agencies are required to notify employees of their rights to utilize FMLA leave, but sometimes agency fail to provide proper notifications, so it is important for federal employees to know their rights. It is unlawful for a federal agency to interfere with, restrain, or deny employees with any rights afforded by the FMLA. It is also unlawful for a federal agency to remove an employee or discriminate against any employee because of any matter related to utilizing their rights under the FMLA. If you believe that your rights under the FMLA have been violated, you may have the right to file a court complaint against your federal agency and/or pursue an administrative complaint. If you believe your rights have been violated for any FMLA related matter, contact The Federal Practice Group to schedule a consultation with an attorney to discuss your options of how best to proceed. Joanna Friedman is a partner at The Federal Practice Group. She has more than a decade of experience in employment law and has represented clients in matters before the EEOC, MSPB, OIG and OSC.